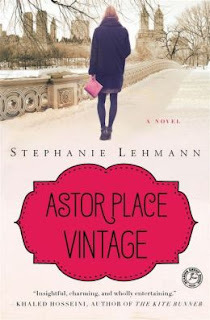 "Astor Place Vintage" by Stephanie Lehmann~Wonderful Read!! 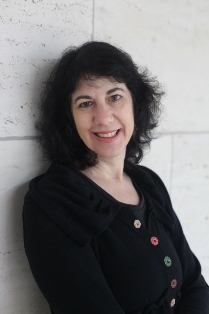 The past meets the present in Lehmann's work of feminist literary fiction. In 2007, 39-year-old Amanda indulges her interest in history by running a vintage clothing business in New York City. She is contacted by Jane Kelly, who, at 98, is getting rid of a lifetime's accumulation of stuff, selling whatever she can for whatever she can get. Amanda takes an old trunk full of clothing on consignment and, while going through the items, finds a journal, started in 1907 by a woman named Olive, sewn inside a muff. These two women are separated by a century but have a lot in common. Olive is rebelling against the 19th-century concept of a woman's "place" in society, and Amanda feels herself caught between two historic eras. Olive's mother died in childbirth, and she was raised by an upper-class, loving but conservative father. His fortune was lost in the stock market, and when he died, she became poor. The author presents compelling, often shocking historical details about the treatment of working women in the early years of the century. Meanwhile, Amanda, in contemporary Manhattan, is considering extricating herself from an affair with a man she dearly loves. Along the way, she visits a hypnotist. The tape she receives after her session introduces questions that bring her closer to Olive. The author combines an impressive knowledge of history, sociology and psychology to create an intellectually and emotionally rewarding story. For more information, please visit www.AstorPlaceVintage.com and www.StephanieLehmann.com. You can follow Stephanie on Facebook, Twitter, Pinterest and tumblr. Want an addictive book to read this weekend? This is the one. From page one, it whisks you up and carries you to New York City in the present and the past combining the lives of two independent, beautiful women who are looking for "something else" in their stilted and lonely lives. It's easy on the eyes and it tugs at something significant in a woman's heart. This novel is "deeper" than it appears to be on the cover. All the time, it's an entertaining and joyful read! Stephanie Lehmann takes on real issues in the lives of all women and brings them current through the lives of two women connected through the lost journal of one of them...one from the early 1900's. How similar their circumstances...wanting to be independent, wanting a love that will recognize them as who they really are and will validate their true strengths. This book touches on the issues women actually feel and experience even today. I love the vintage pictures of New York that dress up the inside of the novel, and the background stories of the City, itself. What a perfect tour guide through the ages passed along with the modern times. What wasn't to love about finds for Amanda's vintage clothing shop, too! Great fun to have the fashions described in detail. There are so many incidents to laugh, nod your head in agreement about, and be shaken to the core in this book. It's a "keeper" and a book you'll want to share with all your friends. Already on my wishlist. Hearing great things about this one. Sounds good. Thanks for the post.